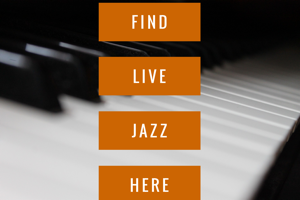 Hope you are having a great holiday season and will have a safe and happy New Year's Eve, and are gearing up to hear some live jazz around town in 2019. Hope you and yours have (or are already having) a wonderful holiday season. JazzRochester is staying home for the holidays. Take all of the regular listings below with a healthy skepticism as I rely on artists and venues to let me know of changes. Let me know if there is something you know is not happening and I'll 86 it from the post. I would call the venue before heading out. Also, let me know if there are any New Years Eve events that will be featuring jazz (those that will be open to the public, that is....). 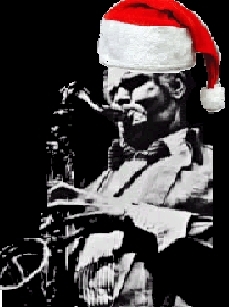 Jazz 90.1 has a couple of special holiday programs to check out, including a holiday performance by Bob Sneider and his Merry Gentleman, recorded at a performance at Bop Shop Records last week on Christmas Eve at 6:00 pm, and then Rob Linton presenting the 14th Annual Christmas Eve Celebration on Christmas Eve from 8:00 pm to midnight. Last Thursday, I was reminded of one of the great gifts of having the Eastman School of Music in town. Once in a while a great jazz artist comes to town to work with Eastman's jazz students and, sometimes, these visitors also team up with the best of Eastman's jazz faculty and/or students for a great night of jazz available to the public. Last Thursday was one of those times. Danilo Peréz teamed up with the Eastman Jazz Ensemble, directed by Bill Dobbins, to reprise a concert that Peréz and Dobbins presented with the WDR Big Band in Europe a few years back, before a full house in Kilbourn Hall. Teamed up with the best of ESM's jazz students with arrangements by Dobbins, it was a great night of music. And it was free to boot!